NPR interview : Billy Collins on 'The Trouble with Poetry'"
POETS READING THEIR OWN POEMS! William Butler Yeats (animated) reading his famous poem "Innisfree"
Dylan Thomas (animated) reading his own "Do not go gentle"
I especially like "We Real Cool" by Gwendolyn Brooks! Alan Rickman reading Shakespeare's "Sonnet 130 My Mistress Eyes"
For an essay about Yeats' "Second Coming" and Iraq, click HERE. “Totally like whatever, you know?” or also called "Conviction"
To watch Taylor do one of his best poems--"What teachers Make"
Billy Collins reading "The Dead"
23:35 Billy Collins reads "You, Reader"
25:23 Billy Collins reads "Afternoon with Irish Cows"
27:33 Billy Collins reads "The Lanyard"
30:42 Billy Collins reads "Flock"
31:50 Billy Collins reads "Surprise" and "No Time"
Billy Collins reading his poetry on Garrison Keilor A Prairie Home Companion at minutes--25:58 Billy Collins reads "Love", "More Than A Woman," and "Sonnet"
Billy Collins reading a variety of his poems including: "Candle Hat." "Consolation," "Forgetfulness," "Japan," "Marginalia," "Nostalgia," "Thesaurus"
W.H.AUDEN and "Musee des Beaux Arts"
Entry about Auden, his life and his works and a few links. Literary society commemorating the life and works of W.H. Auden. Lots of links to his works and related items. During the funeral oration in Four Weddings and a Funeral, Matthew cites Song IX by W.H. Auden (1936?, from: Twelve Songs) in honour of his deceased lover, Gareth. This site has the clips from the movie and the poem. A quick synopsis of the boy, the wings, the legend. Including an excerpt from Ovid's Metamorphoses which describes in detail Ovid's point of view on the matter. Someone's personal rendition of the perils of Icarus. Site with a nice story of the legend of Icarus, while at the same time paying tribute to the crew of STS-51L. Site with extensive critique of Ovid's Metamorposis. A site with information on works of art (painting and literature) that refer to the myth of Icarus. Obviously a school related site, so the info is very related to assignment for that course. Quality large scale images of some of Breughel's paintings. A bit about Breughel, where he lived where he worked and the convenient option of taking a tour of the Breughel hotspots in Brussels. Place where you can download a screensaver which displays Breughel's work. Columbia Encyclopedia entry about Breughel (the family). Click HERE to read a cool help sheet Wally made called "HOW TO EXPLICATE A POEM." Click HERE for part one of the 12 grade poetry packet. Click HERE for part two of the 12 grade poetry packet. 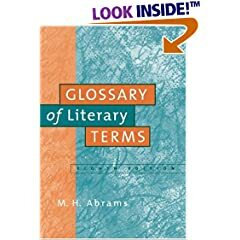 Click HERE for a sample 12th grade poetry terms list. Click HERE for the 9th grade poetry packet. Click HERE for the list of 9th grade poetry terms. Click HERE for tone and mood words.